Pack of 2! 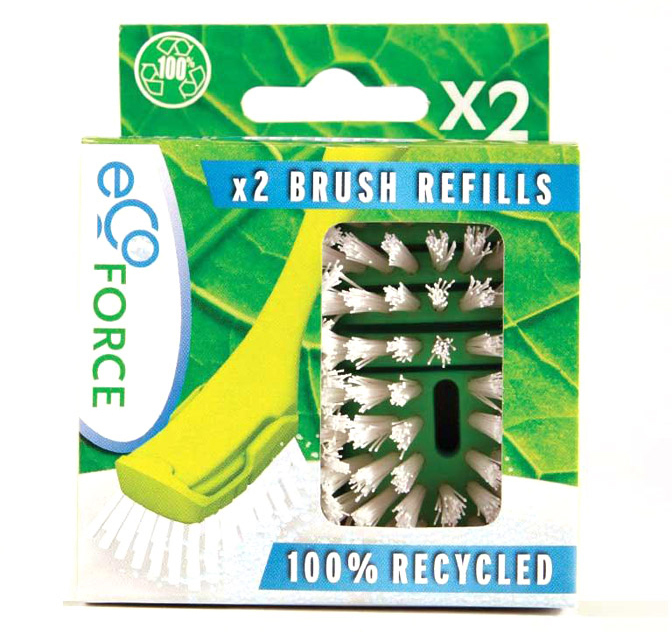 Replacement brush heads for your EcoForce Recycled Washing Up Brush. The well designed bristles (which are made from 70% recycled materials) are tough and resilient to access those hard-to-reach areas. The Ecoforce Recycled Dish Brush Refill - Pack of 2 product ethics are indicated below. To learn more about these product ethics and to see related products, follow the links below. I love the idea of these as they minimise plastic waste. They are generally a really good scrubbing brush to use on the washing up - gentle but effective on pans etc. Great "less waste" product. Look no further for a dish brush. 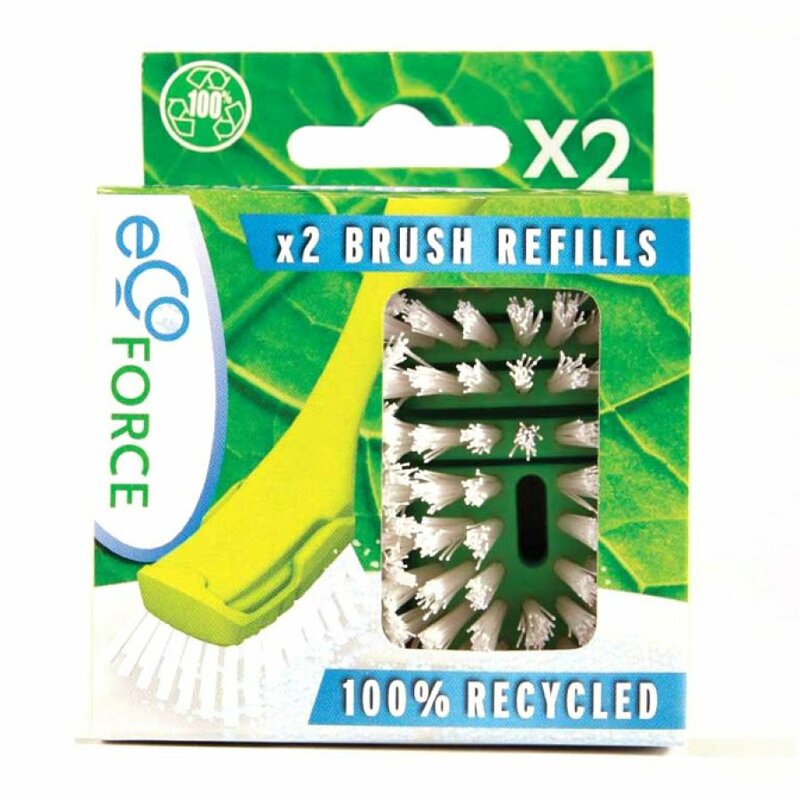 There are currently no questions to display about Ecoforce Recycled Dish Brush Refill - Pack of 2.